As a College student or a recent graduate, you have begun to understand the importance of networking. 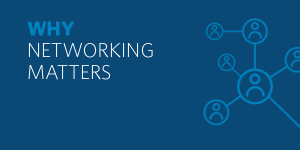 Whether it’s to help attain that first job out of school or move on to a new one, networking can play a huge role in helping you achieve your goals. Education and experience are important pieces of overall career growth, but one of the most vital factors in developing your career path and achieving growth are your relationships built along the way. The connections you build with those you work for, work with and meet along the way can be extremely beneficial to you. At times, events and social gatherings may seem taxing at the end of a long day of classes or work, but the value is there. If you are given the opportunity to attend or are invited to an event, you should take advantage. We found a great blog post by Madeline Bell, president and CEO of The Children’s Hospital in Philadelphia who finds networking valuable no matter where you are in your career. We've Got the Latest Trends in Class Rings! Herff Jones has a class ring style for everyone. Check out our newest options and find the right ring for you.